All hands on deck! 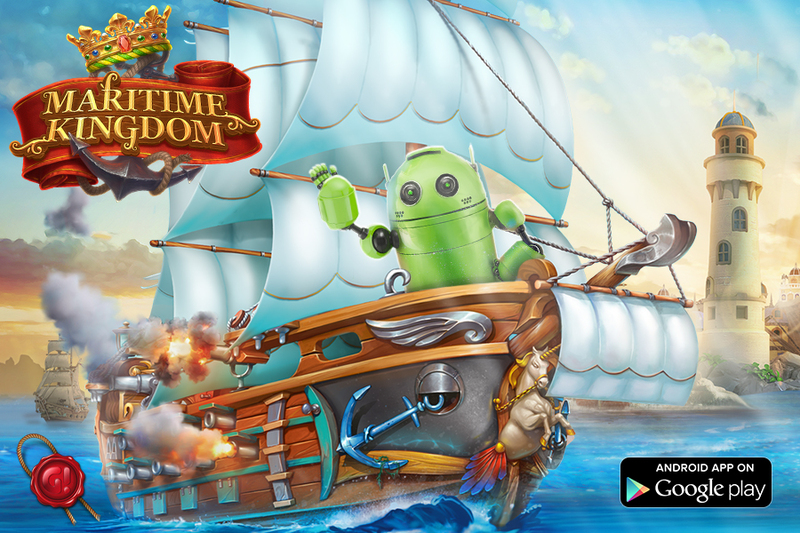 Game Insight announces the release of its captivating strategy game, Maritime Kingdom, on Google Play. Exciting adventures in the Age of Discovery await brave explorers! In these times of unrest, when war is being waged on both land and sea, the rightful king has lost his throne and ended up in a dungeon. But all is not yet lost, as he still has a rightful heir and many loyal subjects! Players must help the princess free her father from the usurper's custody by finding the precious crown jewels. Accomplishing this will not be easy — the mysterious crown jewels are safely hidden in different parts of the world. To find them, a strong fleet will be needed. Build a prosperous port city, mine for resources, improve your shipbuilding, explore far-away lands and establish valuable diplomatic ties. Get ready for some hardships — the sea is vast and holds many dangers! The game offers hundreds of missions, remarkable characters, an elaborate trading system, spectacular combat, and endless possibilities for strategic planning. The kingdom is in dire need of your help!